Sleep Paralysis Without Being Able To See? I'm 14 and I have had sleep paralyses since I was 5 or 6. I have it as frequently as once a week. When it happens to me, I wake up from a dream, just a normal dream (sometimes I can't even remember them) but I can't move, and my eyes are closed. Nothing "paranormal" or scary is going on, but I always feel like scared and vulnerable. If I try to move, I feel like a "shell" is surrounding me. If I wait, I can make a sudden movement and burst into movement. I've always reallllly disliked my sleep paralysis. What can I do? 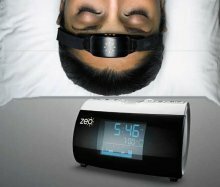 Comments for Sleep Paralysis Without Being Able To See? Hi Abby, Maybe it's a good thing that your eyes do not open during your sleep paralysis episodes. At least that way you don't have to deal with your dream mind superimposing dream images into your surroundings. Apologies it's taken so long to publish your story. We had a huge backload of sleep paralysis stories that we couldn't keep up with. But if you have any updates to your sleep paralysis experiences now, please feel free to share them in the comments. 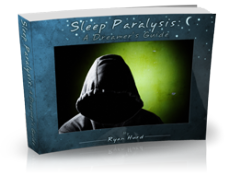 And if you are still seeking out advice to control or mitigate your sleep paralysis, please see our sleep paralysis treatment page, which references Ryan Hurd's Sleep Paralysis Kit full of tips for helping SP episodes. What if your having these paralysis episodes when your not asleep?what if your seeing these dark figures while awake?please help!!! If you guys don't hear back from me it will mean they got me.